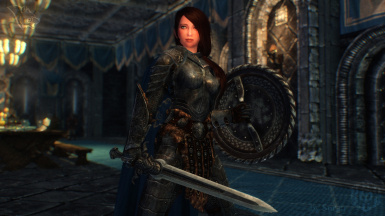 Slay the filthy Thalmor elves and their cringing Imperial toadies with this brand new set of True Nordic Steel! 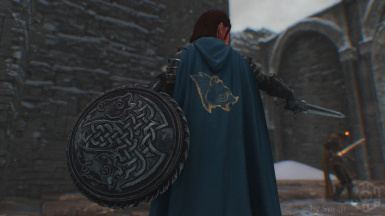 Crafted in the blazing fires of the Windhelm forges, this sword and shield meet all requirements of a true Stormcloak Hero! NOW AVAILABLE FOR SKYRIM SE!!! I wanna thank all of you for getting my mod into the Hot Files! This means a lot to me! 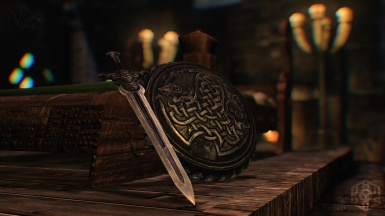 This mod adds two entirely new unique items to the game, a sword and a shield, which both fit the lore and arts style of the original game. 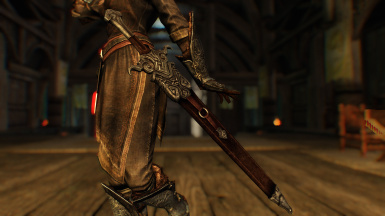 They're a mighty pair of nordic weaponry, originally owned by Ulfric Stormcloak himself. He always planned to give them to one his best soldiers. For some reasons that never happened though, either he just forgot about it or he didnt see anybody worth it. Maybe he even just got killed before he could do it. Whatever, since Ulfric never managed to get this very important job done, there are only rumors how they finally ended up in the hands of the Dragonborn. Some say the Dragonborn never participated in the Great War and just stole the items from Ulfrics quarters and Ulfric was too embarrassed to tell anybody. Others say that Ulfric actually invited the Dragonborn to his bedroom where he presented his heavy gear. 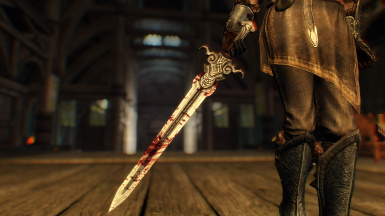 Some sharp tongues even claim that the Dragonborn looted them from the Palace Of The Kings after he killed Ulfric Stormcloak himself. Shouted him apart! 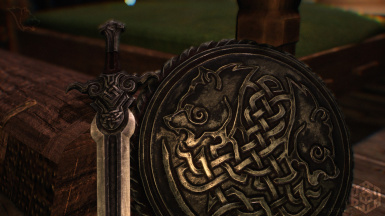 Whatever, the sword and the shield themselves are finest nordic craftsmanship. 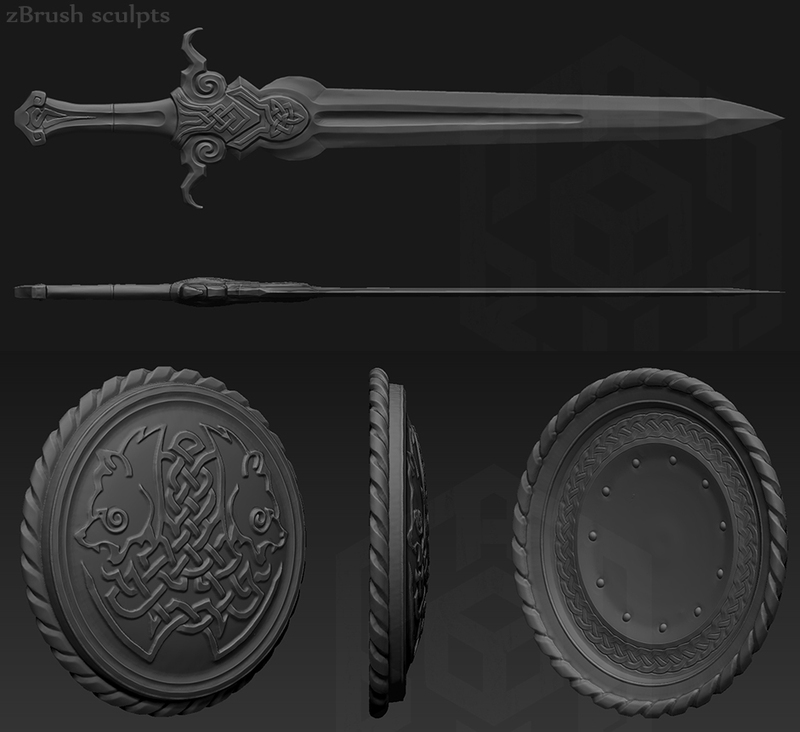 They were crafted in the blazing fires of Windhelm's forge, a rare alloy of iron, corundum and ebony ore. And Oengul War-Anvil's "secret ingredient" (wink, wink). 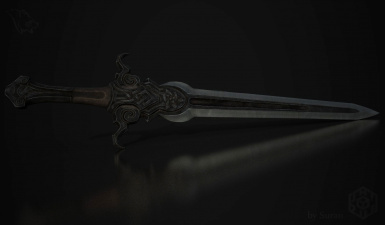 The Sword, so mighty and sharp, when Oengul was done sharpening it, it cut the air and caused everybody in whole Eastmarch to gasp for breath. The knots and runes on it tell a story about eternity and the correlations of Mundus. The Shield, heavy and sturdy. Twelve soldiers used a battering ram to test its resistance. All twelve had to be treated in the temple of Kynareth afterwards. Three of them claimed that they had a vision of Talos himself when the ram hit the shield. The mod is installed in the very regular way. Either manually by dropping the files into the Skyrim directory or by using a mod installer like Nexus Mod Manager. The items are not craftable cause they're meant to be unique. You can find them in Jarl Ulfric Stormcloak's bedroom. Of course you also can get them via console commands. 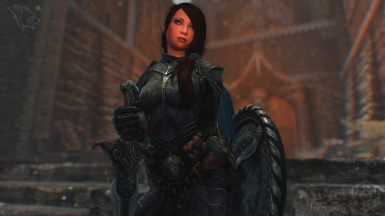 The sword and shield are both unenchanted because true nords dont need anything but pure, heavy metal. 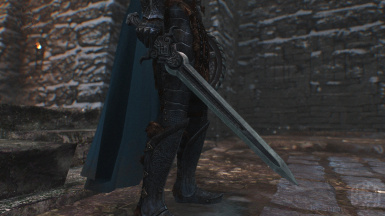 They've got the same stats as ebony weapons and shields and can be tempered. 22/08/16 - misc - added german translation and a DSR Patch by OMFrostWolf - thank you very much! 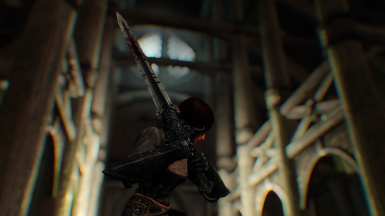 If you like my mod and wanna see more, feel free to follow me on Facebook! Please dont reuse or reupload my models or textures without persmission.